Green Armor Solutions offers innovative solutions to information-security challenges facing today’s businesses. By leveraging a unique blend of psychology and technology, Green Armor can deliver maximum security with maximum user convenience, allowing customers to avoid the painful tradeoff so commonly faced by organizations wishing to improve security. Since 2005, when the company released its first anti-phishing technology, it has sold millions of user licenses and defended over a thousand organizations against cyberattacks. We believe that user-friendliness is critical to the success of a cybersecurity system, as people are the most critical factor in ensuring the security of information systems and corporate informational assets. Technologies that secure an enterprise in a fashion that is easy for users can greatly reduce the chances of either human error or user frustration leading to problems. For that reason, we at Green Armor Solutions utilize sophisticated psychological analysis when designing our products; the studies help ensure that our customers derive maximum business and security benefits without imposing any extra burden on users. Our products offer greater user convenience than was previously possible when implementing authentication and anti-phishing technologies; users can achieve full, secure access from computers and mobile devices yet they require no user enrollment, no added steps to the user login process, no user training, and don't need to carry any security devices. Furthermore, the systems require little or no ongoing maintenance. Another significant benefit of our products' user-friendliness in a market crowded with complex technologies notorious for aggravating users is that our offerings typically sport a much lower Total Costs of Ownership than competing products. The systems can be rapidly and easily be deployed to large numbers of users without "handholding," and ongoing maintenance is typically a small fraction of what other security technologies demand. We offer our products both as software for organizations to deploy as well as an API that third-party software vendors and cloud system providers can utilize to as a feature within their product suites. Read more about "Why Green Armor?" 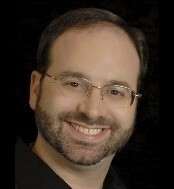 Joseph Steinberg (CISSP, ISSAP, ISSMP, CSSLP) is a respected cybersecurity thought leader and C.E.O. of Green Armor Solutions. He has spent over 20 years in the information technology industry, is the inventor of cybersecurity technologies in use by millions of people, and is a frequent commentator on information-security related matters rangin from smart guns to social media security and everywhere in between. He has lectured on various topics related to information-technology security and management, and is the author of books, as well as of numerous articles, on various topics related to business, information technology, and digital-age security. He has also taught personal finance classes and written on business related topics. Joseph earned an M.S. from the Courant Institute at New York University (NYU), and holds several advanced certifications in cybersecurity. In 2007 he was named one of New Jersey’s top businesspeople under the age of forty. Joseph is the author of the Business, Cybersecurity, and Life column on Inc.com, and the current editor of (ISC)2's CISSP-ISSMP exam texbook. Shira Rubinoff, President of Green Armor Solutions, is a known expert in the human factors of information technology and security. Ms. Rubinoff was named by the Executive Women’s Forum and CSO (Chief Security Officer) Magazine as a Woman of Influence and honored with their One to Watch award, as well as highlighted as one of New Jersey’s Best 50 Women in Business by NJBIZ, the leading business publication in one of the world’s largest economies. Ms. Rubinoff has published and lectured on topics related to psychology and cybersecurity, and has been involved with various women’s charities and efforts. Please click here to read analyst opinions of Green Armor. Green Armor authentication software helps enterprises secure access to online systems from computers and mobile devices by using a unique, patent-pending blend of psychology and technology to deliver "maximum security with maximum convenience," curtailing cybercrimes and ensuring compliance with regulatory requirements (FFIEC, HIPAA, GLB, etc. ), while allowing users to continue to enjoy the same simple user experience with which they are already comfortable.